*** The Phoenix Science Fiction Classics series has been designed for the convenience of students. Special margins provide liberal space for students to take notes. *** These distinctive trade paperbacks have also been priced to make them one of the most affordable critical series in the market today, making them easily accessible to students of all economic means. *** Each book includes notes, critical essays, chronologies, bibliographies and more. *** *** The timeless cautionary tale of man's overreach with tragic consequences for all. 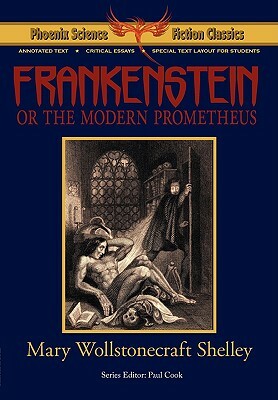 Victor Frankenstein, obsessed with scientific studies, creates and brings to life a creature made from scavenged body parts. However, unable to deal with the hideous "monster" he has created, Frankenstein flees, setting in motion a series of events that ultimately destroys everything he holds dear. *** This edition includes critical essays by acclaimed author and senior lecturer (Arizona State University) Paul Cook and by Alexei and Cory Panshin (adapted from their Hugo-winning work on science fiction, The World Beyond the Hill).